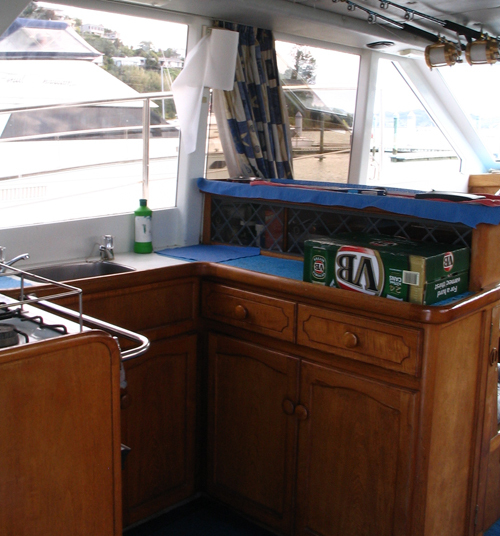 Upon entering Santana's saloon you have the the galley on the left with a full size oven (needed for the roasts the crew like to cook), following that is a curved seating area for eating which also pulls out into a large double bed. 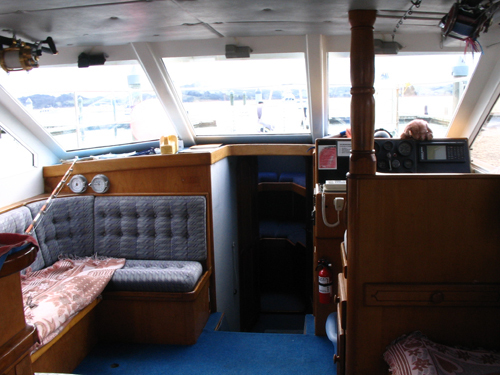 On the right hand side entering the saloon is a good size fridge then a long seat which pulls out into another double bed then the inside helm station. Going down a couple of steps you come into the sleeping quarters with the skipper's cabin on the left and a good size shower/toilet combination on the right. 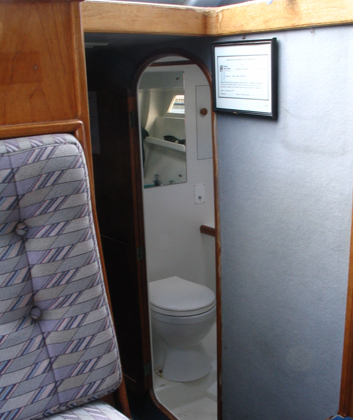 Due to popular demand the marine toilet was replaced with a normal sized loo. The boat also has it's own sewerage treatment plant onboard. 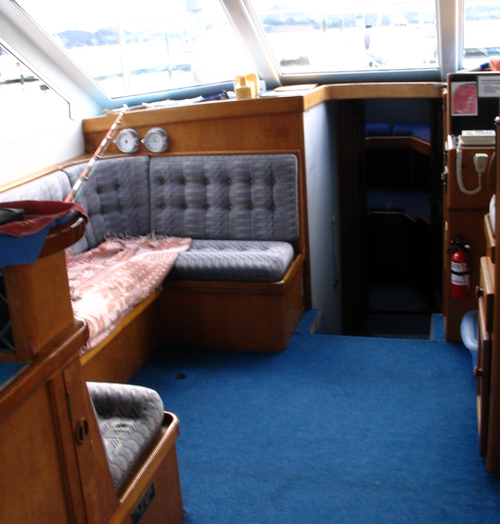 In the bow of the boat there are four large single comfortable berths, two up and two down. 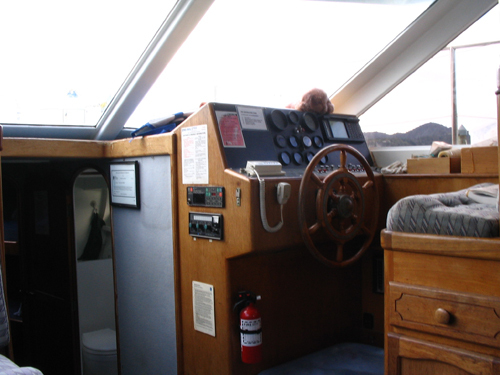 Each berth has it's own reading light and all sleeping cabins have hatches for extra light and ventilation.